Weather Underground recently removed its app from Roku, so we thought it time to revisit our Best of Roku listings in this category. The demise of WU on Roku came as no surprise considering the entire WU product line has been in decay while getting unpopular makeovers since the brand became part of The Weather Channel. The WU app on Roku, in particular, was in poor health before it got yanked from the channel store. But former WU fans shouldn't despair. If you're looking for weather information, Roku still has you covered, with channels that provide live video reporting, current local conditions, forecasts, local and regional radar, and national weather maps. Weather4us - Weather4us is our top overall pick for a Roku weather app because of the detailed weather information it provides. This is the app for weather geeks. If the lack of live reporting isn't a deal-killer, you'll find a wealth of information on Weather4us, including a detailed 7-day full-text forecasts, easy access to hourly forecasts, weather alerts, and time-lapse local and regional radar. The app includes lots of NWS graphics and climate information as well. 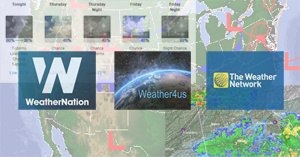 All of this is available in the free ad-supported version of Weather4us, but you can purchase an ad-free version that also includes a Roku screensaver that displays more than two dozen NWS graphics while your Roku is idle. 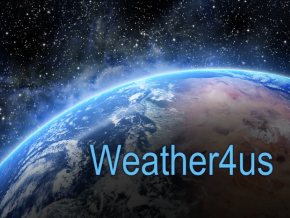 Read our full review of Weather4us here. WeatherNation - If you're looking for live weather reporting and video on demand featuring regional forecasts, WeatherNation is the channel you need. It offers a live stream of weather reporting and forecasting along with video on demand that includes Top Stories, Headlines, Top Severe, Extended Outlook, Travel Forecast, and ten regional forecasts. In addition to the 24/7 live broadcast and VOD, you can also view very 36-hour and 7-day forecasts and current weather advisories. Nearly a dozen radar images and weather maps are also available. Read our full review of WeatherNation here. The Weather Network - The Weather Network dropped 24/7 live reporting, and has just a handful of videos and photos. I debated including The Weather Network because it offers nothing that you won't find on Weather4us or WeatherNation, but the channel may appeal to those who are just looking for basin weather conditions and forecasts and don't want to be bothered with the autoplay video stream that WeatherNation launches with. Read our full review of The Weather Network here. It's not one of our top picks, but you can also find weather maps and charts on the free Weather Radar private channel. Many local news channels, found in the News & Weather category of the Roku channel store, also offer local weather forecasts. This article was original published in February 2015 but is regularly updated to reflect current channel information.